A special program designed to take a troubled property with a bad tenant and turn it around fast. You Have a Bad Tenant! Now What? The tenant hasn't paid the rent in months, your property has been trashed, and you haven't had to deal with evicting a tenant before. Evictions can be very expensive, and you'll still be stuck with a lot of work when the tenant is evicted! What should you do? We will either get your tenant to start paying again, or evict the current tenant. Many clients tell us they are surprised at how effective we are at negotiating with tenants to either pay the rent or move, saving you the cost of the eviction! If an eviction is required, our in-house attorney can get it done fast and cost effectively. In the event an eviction is necessary or the tenant leaves still owing money, we will continue to pursue the monies owed and report your delinquent tenant to all three major credit bureaus. This is an excellent and efficient tool to motivate a tenant to maintain a clean credit profile and pay arrearages. 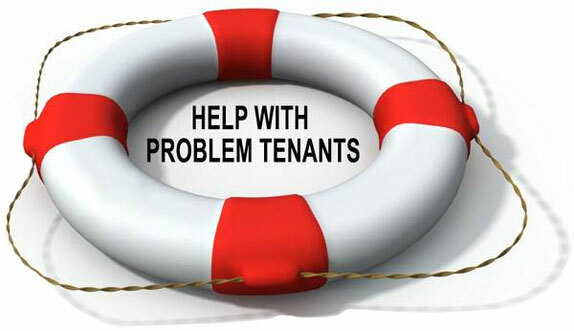 Defaulting Tenants can cause many difficulties for a Landlord. Navigating the process correctly and quickly is essential to ensure that the Tenant does not cost you more than the unpaid rent he/she currently owes. Sean Donnelly of Donnelly Law Group has extensive experience in protecting Landlord clients in all types of eviction situations. The cost for this service is a flat fee of $300 plus expenses for the eviction. After a management agreement is signed we will immediately start working on your behalf to pursue collections or start the eviction. Expenses for simple evictions usually run $200 to $700, depending on how quickly the tenant vacates. This service is only available as part of an ongoing management program. To get started call Ralph Corigliano at (813) 380-8057 or request below.